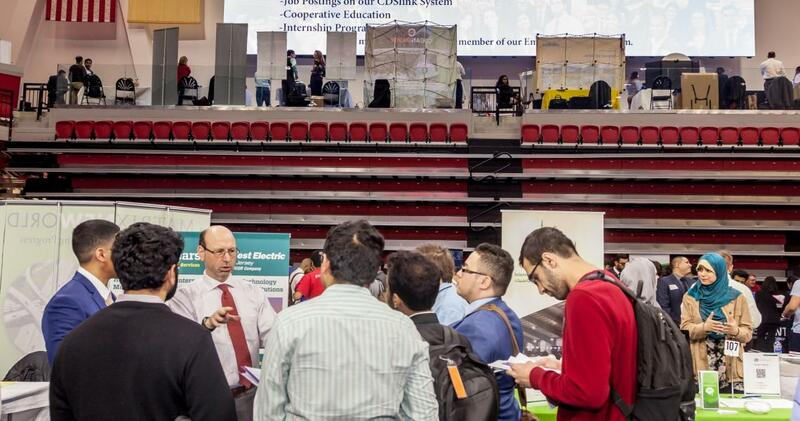 The Wellness and Events Center at NJIT will be buzzing with recruitment activity Feb. 13 when employers and jobseekers convene for the Spring 2019 Career Fair. Gregory Mass, executive director of the university’s Career Development Services, noted that the 200 or so employers attending have been registered by design to meet both their needs and those of the students. Mass also spoke more broadly about today’s hiring environment. We pick up with him for the second part of a timely conversation on topics ranging from personal branding to career longevity. How can jobseekers stand out from among the pack in terms of personal branding? Personal branding is your perceived worth in the labor marketplace. It’s important to have a brand that is depictive of skills and competencies that employers are interested in. The No. 1 advice we give is to get some experience while you’re at school, because your personal branding is frontloaded by your resume, which will contain skills that were developed by that experience. Your correspondence also reflects your brand, so proofread, check grammar and follow protocols. Additionally, master the art of networking. By that I mean social media networking. It’s not enough to simply post your profile on LinkedIn; it’s what you do with it once it’s there. Are you joining clubs and groups of interest? Are you having any kind of information exchanges with your connections? Are you actively developing your network in a positive way and guarding yourself against putting stuff out there that’s going to hurt you. With regard to social media, we often talk about it from a ‘be smart’ perspective, which remains true. Once you post something, it’s there forever; you can’t hide it. It’s your commentary, so be cautious. Attending professional association meetings, going to events, going to conferences are just as important. I’ll share with you that the undergraduate students, mostly, who go to the SWE [Society of Women Engineers], NSBE [National Society of Black Engineers] and SHPE [Society of Hispanic Professional Engineers] national conferences, attain more job offers there than probably anywhere else. What soft skills are employers increasingly looking for? Communication skills are always at the top of the list, so be a good writer, be a good speaker, make sure you’re making your point. Additionally, teamwork and collaboration — the need for collaboration across cultures, across continents, across time zones is important — as well as creativity, organization and leadership, persuasiveness, adaptability and time management. Also, emotional intelligence, which involves the science of awareness: how well you know yourself, your limitations, your strengths; the ability to pick up behavioral signs from others; awareness of your physical environment and the individuals with whom you interact with within that space. It’s not based on emotional stability, but rather the way you process information and react. Theorists say that folks who are inevitably the most successful have a higher degree of emotional intelligence than those who do not. I think this is incredibly important in terms of sustaining one’s career. Another skill involves conflict resolution, which has always been a keen interest of mine. We’re so focused on leadership, and that’s fine. I think students should aspire to leadership roles, whether it’s as the captain of their sports team, the president of their student association, some sort of E-board or office appointment, or leading a class project. But if you can’t deal with conflict appropriately, it’s going to be a detriment to the team and to your career moving forward. It’s about focusing on the issues, understanding what you want the outcome to be, and doing it in a way that gets the person you are potentially in conflict with to go on the journey with you. You’re there to solve the problem together. And you get better at conflict resolution the more you practice it. Conflict resolution is an under-recognized skill in need of greater emphasis. How are employers’ hiring practices evolving? The No. 1 way that organizations are moving is internship first and then hiring from the internship. It used to be that hiring interns was simply about getting work done. Now hiring interns is about early engagement with the organization, assessing future talent and conversion to full-time employment upon graduation. Employers are also increasing their use of technology, software solutions and artificial intelligence [AI] to increase applicant pools, screen candidates and educate students about career opportunities at their respective organizations. The most-used AI product now is called HireVue, a video-interviewing platform that uses text, audio and video chat to predict a candidate’s character. Through HireVue, candidates engage in an interactive video discussion with a machine-simulated person, and the interview is then sent to the company for screening. In addition to recording the content, the technology’s AI component reads the candidates’ body language and picks up on behavioral signals related to their skills, competencies, passions, traits and career interests. With this information, employers can choose the types of employees they want based on a cocktail of machine-learning algorithms and industrial psychology. What are the keys to career longevity? Is staying on now frowned upon? Job-hopping in the early stages of your career is not frowned upon as much as it used to be. I know that employers have lowered their expectation in terms of how long they’re going to keep people. As far as career longevity, it’s simple: Keep your skills and your networks up to date.